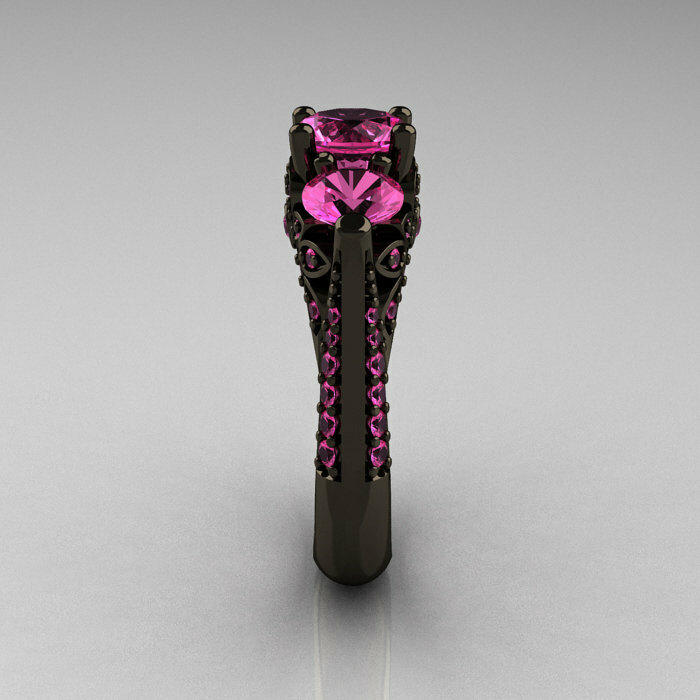 Elegant, luxurious and rich, the new Classic 14K Black Gold Three Stone Pink Sapphire Solitaire Ring R200-14KBGPS is sure to delight the most discriminating feminine taste. 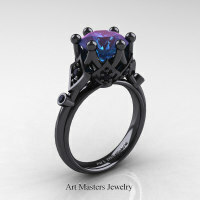 This ring is a designer exclusive high-maintenance jewelry piece and is not meant for everyday wearing. 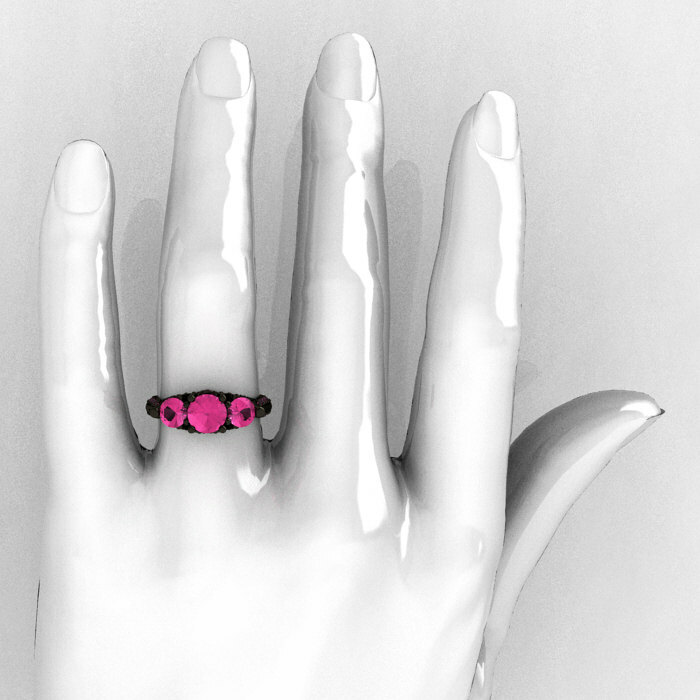 Black rhodium alloy on white gold will wear off in about 6 months to a year of intensive wearing, just like any metal alloy. 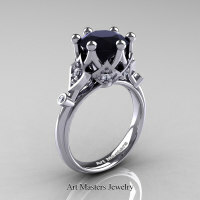 I provide 2 year (2 time) free black rhodium alloy reapplication on all designer black gold rings for my customers. 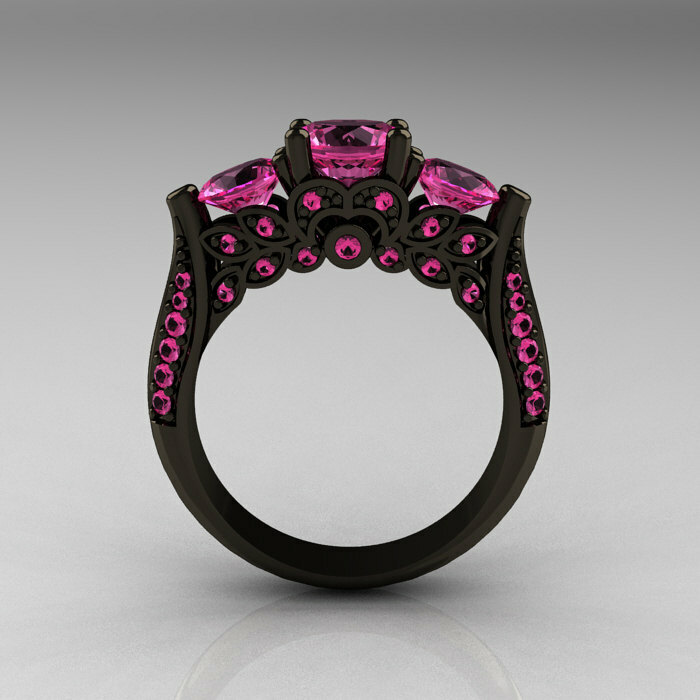 This service is available with select jewelry manufacturers U.S. nationwide for a fee to maintain a long term black gold appeal for your exclusive jewelry piece. 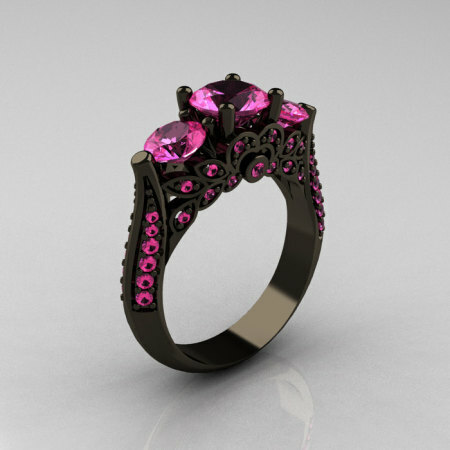 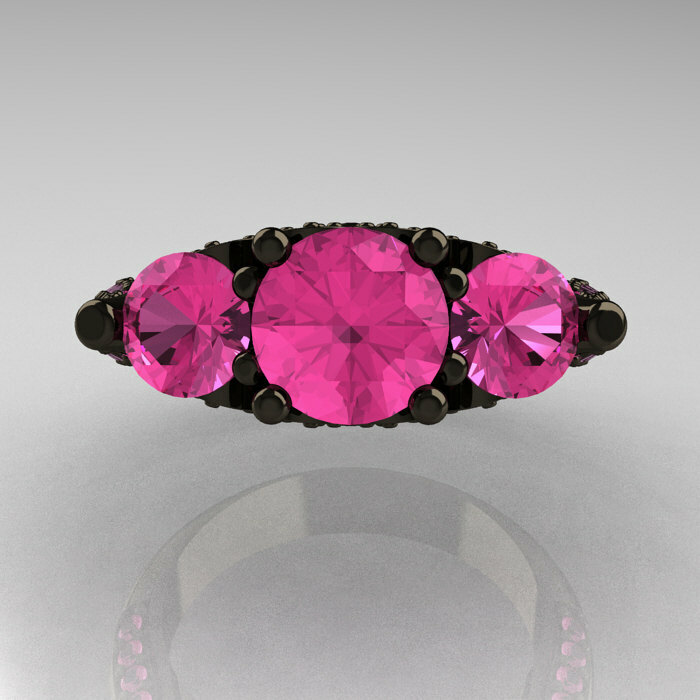 Be the first to review “Classic 14K Black Gold Three Stone Pink Sapphire Solitaire Ring R200-14KBGPS” Click here to cancel reply.